Look how beautiful that is! 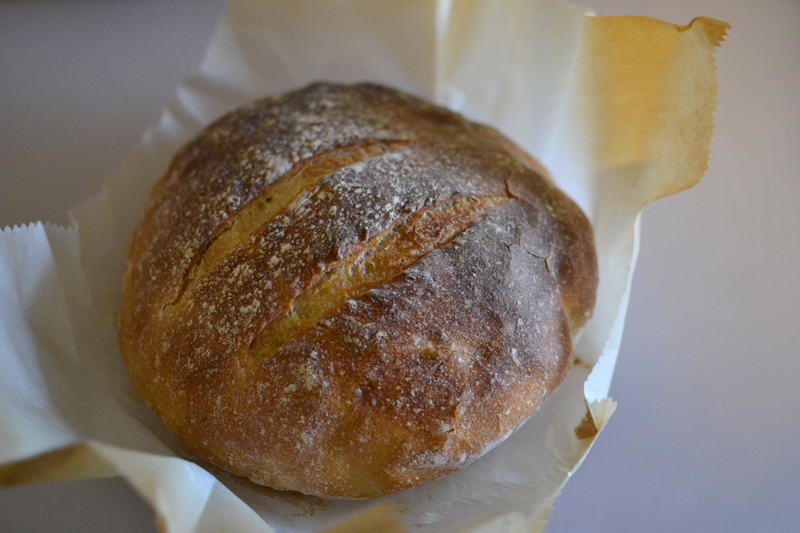 I guess dutch oven baking is good for more than just no-knead breads. It’s a little lumpy on the side from where I dropped my razor blade mid-slash, but the color is so nice. I took the lid off for the last 10 minutes of baking, to get the top nice and brown. I’ve got some ideas for how to improve the shape (maybe bake it on the stone with cast iron inverted over it, to avoid those wrinkled parchment lines), but this might be how I bake all my “artisan” loaves now. 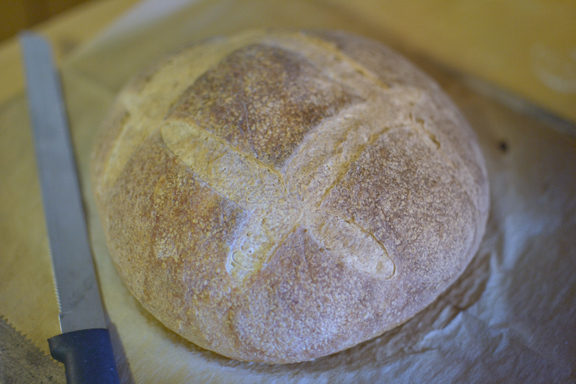 Just for reference, this is what the last loaf looked like. It was baked on a stone with a steam tray on the top rack. Huge difference! Tags: baking, bread, kitchen tips. Bookmark the permalink.